Content Marketing in Challenging Industries | ASTRALCOM - Content Strategy, Conversion Marketing and Customer Acquisition. Marketing and advertising any product is always challenging, especially for new brands. However, when it comes to marketing products and services that are highly controlled and potentially constrained by legal issues, it can be even more difficult. Some of the most challenging industries for marketers include financial services, cannabis, and alcohol. There are very high statutory standards that have been set for products in these verticals. Failing to adhere to these laws and procedures that are set in place is not an option. In the midst of these issues, it can be said that necessity is the mother of invention. It is interesting to note that many businesses in these and other similar industries are doing very well. In fact, many are cashing in now more than ever. Cutting-edge content marketing strategies have been employed by leading companies in these fields. This has helped to make lasting connections with their customers. In addition, many of these marketing concepts have played a crucial role in helping to cement brand credibility. So, what are some of the approaches that are working for these industries? 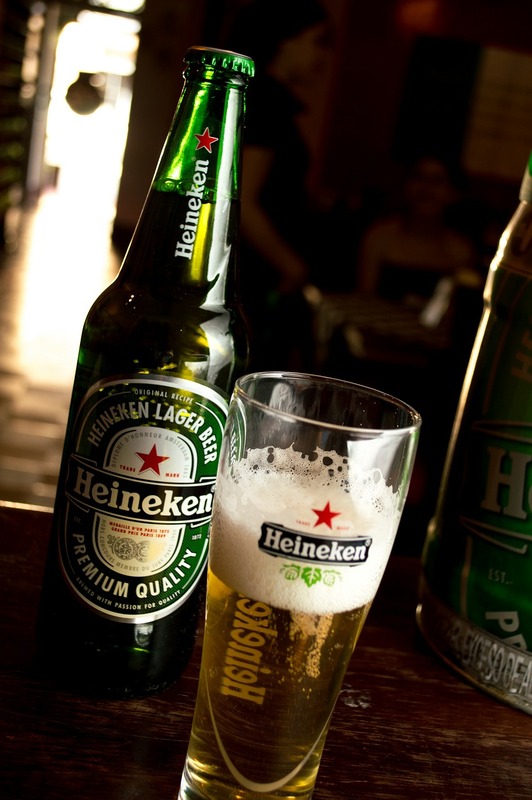 Heineken is one brand that has taken content marketing to a whole new level. Raul Esquer Lopez is the brand manager at Heineken. Together with his team, they developed strategies to impact cities around the globe. Their approach centers on doing good works and giving back to communities. In this regard, they have identified some exceptional ideas geared to bettering cities and to provide funds. One such idea was to create a floating public swimming pool in the middle of the East River in New York. This ambitious project received overwhelming attention and is one example of how the brand has indeed impacted cities. The Cities Project is the official title for this marketing campaign. Financial services brand Ally Financial developed a unique approach to disrupt typical boring narratives. They distributed lucky pennies in an array of cities in the US. Those who found these pennies could redeem them for $1,000 on the company’s website. Another subsequent campaign, dubbed ‘The Hardest Working Dollar’, allowed people to redeem eligible dollar bills for up to $10,000. Dixie Brands is a company that sells high-quality cannabis products. Their marketing approach embodies the value of friends getting together to enjoy the good things in life. They have sought to leverage the role played by “budtenders,” or dispensary employees. By working to make these budtenders advocates, Dixie Brands has effectively taken “word of mouth” to a new level. For more about how companies in these industries are reaching their audience more effectively, read this article by Jonathan Stone on Insights. If you are in an industry that faces similar challenges, you no doubt understand the issues involved. Even if the marketing for your business does not involve the same level of regulation concerns, it can still be difficult to know where to turn. Content marketing is the topic of the day. This buzz-phrase is everywhere, and effectively leveraging quality content can make all the difference. ASTRALCOM understands this, and in fact, we have been using content marketing in various forms for over 20 years. Shout out to us today at 800.536.6637. We can help you to utilize these concepts of effective content marketing to achieve maximum results.